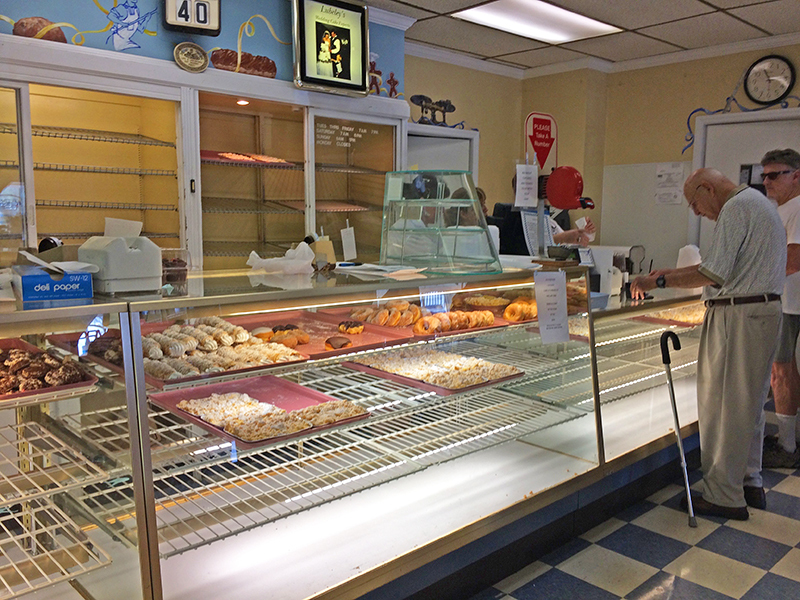 The news of Lubeley’s Bakery closing after nearly 80 years of business spread rapidly. Without fail, the response to the news was, “Noooooooooo!” Among my immediate circle, our tragedy is the thought of living life without Lubeley’s Dobash torte. 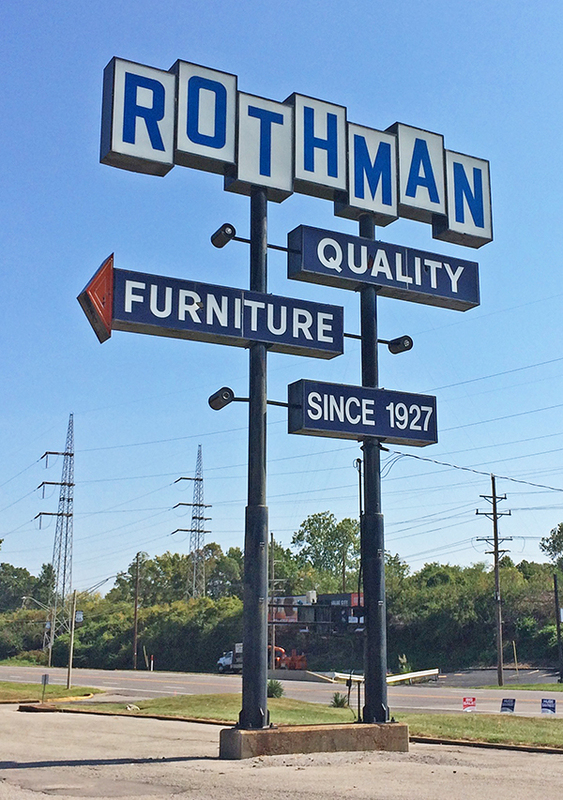 After 90 years, Rothman Furniture is closing up shop. Whereas the 2nd generation of the Lubeley family wants to retire after 60+ years of hardworking service, the 3rd generation of Rothmans’ knows they can no longer compete properly in today’s furniture marketplace, and want to bow out on their own terms. 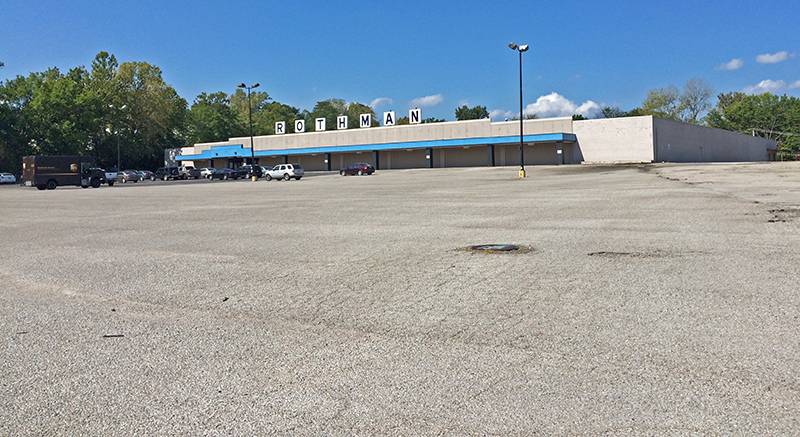 Raise your hand if you’re one of the thousands of people who have used the massive Rothman parking lot for student driving practice. Or got a ticket from the traffic police who hide on the eastern edge. I pulled into the Lubeley’s parking lot, which (unlike most days) was so packed I had to wait for a spot to open up. This left time to ponder some other long-time St. Louis family businesses (not on this stretch of Watson Road!) that packed it in. On New Year’s Eve 2015, Yacovelli’s Restaurant said goodbye after 95 years. They were a long-standing tradition for North St. Louis Countians, including my family, who had so many family gatherings in the banquet rooms over the decades. But while the Yacovelli family was waiting on our families, they weren’t spending time with their families. The 4th generation wanted to see what else life offered. And then there was Ponticello’s (above) in Spanish Lake, which closed May 2013 after 59 years of serving one of the yummiest thin crust pizzas I’ve ever had, and The Best tempura-batter onion rings ever (just typing that made my eyes well up with tears, I miss them so). 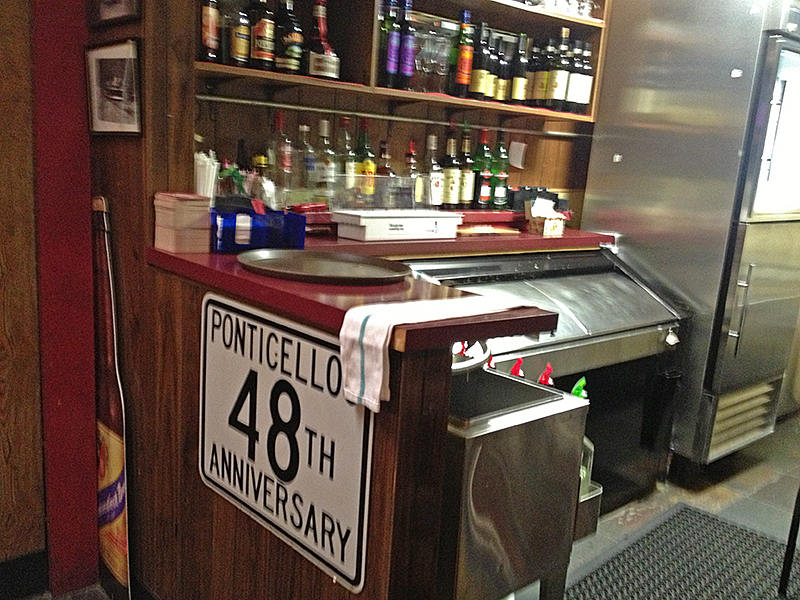 Ponticello’s was a stalwart of the Spanish Lake community. We watched it grow from a take-out place with a few dine-in seats to a restaurant destination for North County ex-pats looking to wallow in nostalgia and their fine food. There was deep comfort in knowing that Ponticello’s was always there. The daughter (and eventual son-in-law) of Rose and Vito Ponticello spent all of her life working in the family business. In their deep sixties by 2013, they were worn out. Unlike other veteran restaurant families in North County, they did not flee to St. Charles County to keep on keeping on. They just wanted to see what living a normal life would be like. 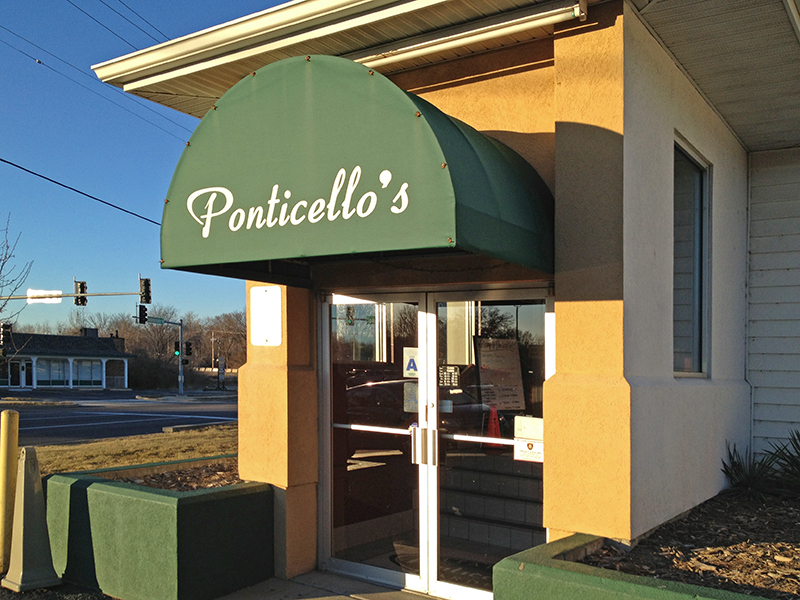 With no buyer emerging at the time, Ponticello’s is simply gone (but where are those recipes?!). As of this writing, the building remains vacant, and every time I pass by, my heart feels heavy. Then I think of how light-hearted the 2nd generation probably feels. And that Vito Ponticello passed 17 months after his legacy closed. And that life goes on no matter how you feel about it. Back at Lubeley’s, inside the shop was even more chaotic than the parking lot. The 20+ customers grabbing their last bits of goodness were respectfully sad, and sharing their sorrow with the Lubeley daughter, who was hella-busy behind the cash register, but calm and gracious to everyone. The case where the Dobash Torte always sat was completely empty, save for one chocolate cake. With tomorrow’s dinner party in mind, I asked if one could still place an order for the Dobash? Will there be more Dobash tomorrow? I knew I would not be able to get up at the crack of dawn to vie for the last precious few Dobash tortes. Anyone who would do such a thing deserved it far more than me. So I snapped a few photos, soaked in my last moment at Lubeley’s, and went to Plan B for the dinner party: Federhofer’s Bakery. To be honest, Federhofer’s in Affton, MO has been my locally-owned family bakery of choice for two decades. I go there so regularly they know my face; it’s my Cheers. 8 minutes after leaving Lubeley’s for the last time, I walked into a familiar cookie hug, and bought a cake for the dinner, and two donuts to immediately drown my Dobash sorrow. Lately, Federhofer’s has done quite a bit of interior updating, indicating they are in it for the long haul. 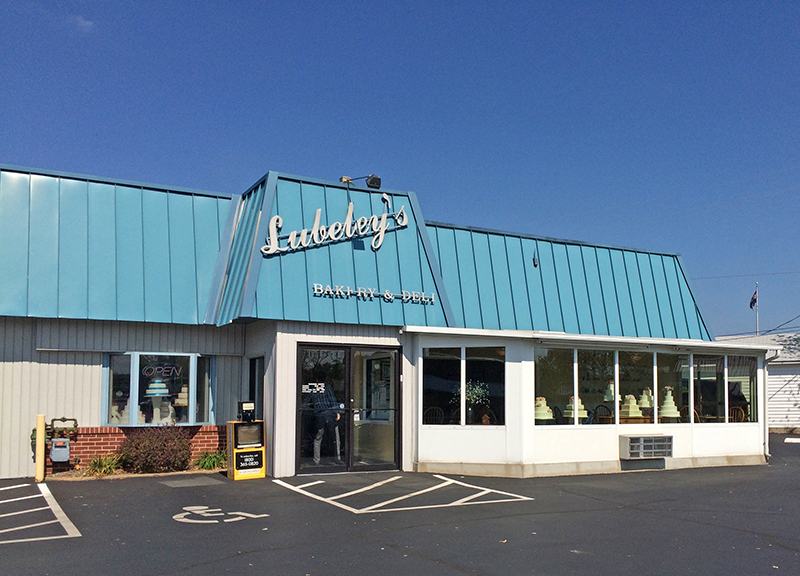 But Lubeley’s had done a major remodel a few years ago, and now they’re closing, so the usual signs of progress are not a given for independent, family-owned businesses. Which is why I asked the young man ringing me out if Federhofer’s has felt the impact of Lubeley’s closing. He said their business had doubled in the last few days, with tons of people walking in to look around to see if this could be their new bakery. And since Lubeley’s and Federhofer’s have some similar goods, there were many who felt a sense of relief that their sweet-tooth need not suffer. I remarked to him about the recent remodeling and upgrades; does this mean Federhofer’s has no plans to retire? He confirmed that the new generation has enthusiastic long-term plans for the company; they’re in it for the long-haul. Why do some families keep on with their inherited business while others pack it in? The nature of the business rather than the generational cohort may be the deciding factor. Food service is non-stop grueling work. When corporate food chains can fill some of the needs without the personal toll, why continue to grind yourself into the dirt? Or think about this: the original family that started the business had completely different motivations than the subsequent generations who inherited it. What was once your high school job becomes a career that was assigned to you. You’re working for your parents’ dream, but what about yours? For those of us who’ve never been in this position, this is all pure speculation, an attempt to walk in their shoes for a moment. And I’m sure the legacy of what they leave behind weighs heavy, especially when loyal, long-time customers come out of the woodwork to say goodbye and share their feelings about the farewell. They are surely not immune to our sorrow, but they have lives to live that can’t be dictated by our nostalgia. Like the rest of us in today’s America, they deserve to get out while the getting’s good, yes? 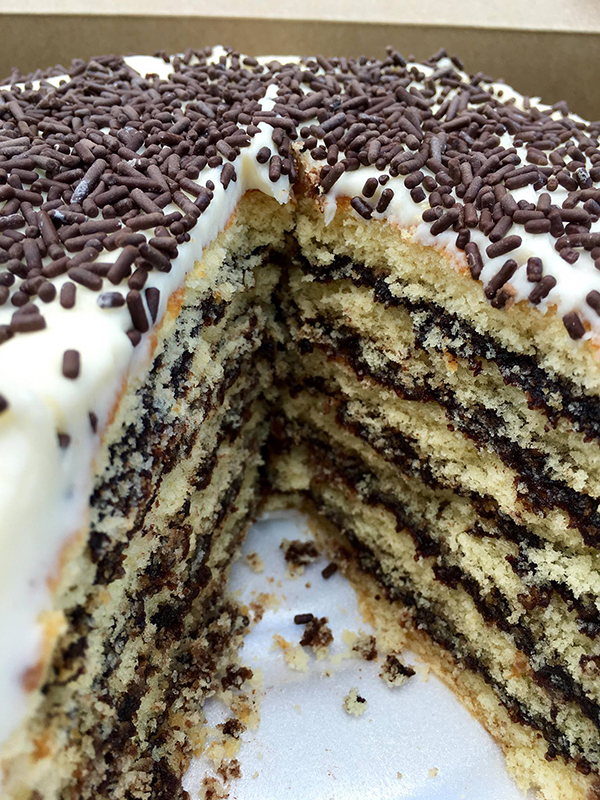 Lubeley’s Bakery Dobash Torte photo by Steve Carosello. There are sometimes shimmers of hope to keep a bit of what we’re losing. The friend who first introduced my to the heavenly Lubeley Dobash Torte (his photo is above) placed a call to the bakery. They said that since the news of their closing has made the local media they’ve had several serious inquiries to buy the business. And if that doesn’t come to pass, there’s genuine concern to make the effort to preserve their family recipes. St. Louisans have experienced a few iconic recipes remaining in place after the store has closed. Some of Miss Hulling’s Cafeteria cakes are still available at Straub’s. Lake Forest Bakery confections can still be found elsewhere. And even one of the old Mavrakos chocolate candy recipes still exists. If you know of others, please share in the comments. We all pass things onto subsequent generations, but it may be easier to preserve a piece of jewelry or painting (an object) rather than a recipe or a business (a concept). And as the originator disappears further into the abyss of time, we can’t expect the later chain of inheritors to feel as strongly about it. Confronting the limits of mortality always stings. The present is alway, irrefutably, all we ever have. The future is unknown, the past is only remembered. I am grateful for every morsel of Dobash torte we’ve enjoyed, and wish all the families putting their businesses to bed all the very best in the future.